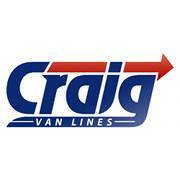 Craig Van Lines started moving services in Oakton, VA some 80 years ago! Our facility used to be located just off Jermantown Road, just past the Oakton Rd. intersection. Back then, the old Hidden Lane Nursery and the Miller Heights neighborhood was just a stone’s throw out our back yard. We’ve spent a lifetime in Oakton. It is where we call home, and where we have helped so many others to call it home too. We’ve made some big changes in the past 80 years and 4 generations of moving. But one thing has remained constant: our roots in Oakton and our commitment to providing the best moving services in northern Virginia. So if you’re planning a move in or around Oakton, we’re the company to call! Our moving and storage experts stand above those other guys so you can be assured of unequaled service and a stress-free moving experience. Whether you are making a move across the street, across Oakton or beyond, you can trust and depend upon us to be efficient, careful, and affordable. Give us a call today to schedule your move or arrange a visit by one our moving counselors. Best local movers- That’s us! Sure, we’re licensed, bonded & insured moving pros. But our heritage makes us different than the other guys. We know the area, we know the people and we’re part of the community. It is not uncommon to begin a move only to find out that the client had the same teachers at Sidney Lanier Intermediate or Oakton High School! Beyond our deep involvement in the community, we provide quick and efficient local moving and packing services on an hourly basis. Rates can vary by location and by the time of year, so please give us a call to determine how best we can serve you. An option to make your move less expensive is to schedule your move during the middle of the week and, if you can, during mid-month when demand for our moving services is at the lowest. Our highly competitive rates are greatly determined by the amount of time it takes for your move, the number of our pro local movers required, and the drive-time for our Oakton moving guys to get to your home to start the work and to get back again after completion. Remember that elevators, stairs, and long walks add to the final cost. When you contact us, this will all be clearly explained with the next step being an accurate estimate for your review. As your moving day approaches, stress can build up. Relax, as we not only can help through our service providers, but we also have anything else you might need from wardrobe boxes to custom-built crates. We also offer a wide variety of other packing supplies such as small, medium, and large boxes and custom made containers for things like flat screen televisions, large art works, clocks, china, lighting fixtures, and so much more. If you require storage for your belongings, we have secure, temperature-controlled, and clean warehouses available. We are also glad to transport your items to any other storage facility you choose. Some examples are located at 3980 Pickett Rd, Fairfax, VA 22031, 8523 Old Lee Hwy, Fairfax, VA 22031, or 2995 Gallows Rd, Falls Church, VA 22042 with others nearby; just call us for more info. If you are looking for a moving company that is committed to quality customer service and the highest quality moving services that don’t break the bank – you’ve found us. At Craig Van Lines we are local, family-owned, professional movers who have served Oakton and Northern Virginia through four generations. Our goal is to tailor our moving solutions to meet the needs of each of our clients, including overseeing any specialized moving requirements. Here’s a little piece of our past for you to enjoy! We cannot stress enough the importance of thorough reference checking before you decide on a Oakton, Virginia moving company. We’ve been an accredited member of the Better Business Bureau since 1984, and we’re proud of our A+ rating (click here). Thank you for taking the time to complete a review of our company. We are pleased that you were satisfied with the level of service we provided to you.